Chandigarh To Baddi Taxi booking is very simple. 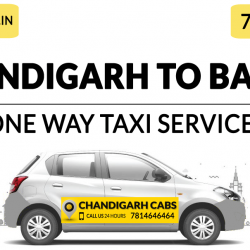 You can just call on 7814646464 to book a taxi from Chandigarh To Baddi. Pickup is available from Chandigarh Airport, ISBT, Railway Station or anywhere in Chandigarh, Panchkula, Mohali, Zirakpur as well. You can book one way taxi from Chandigarh To Baddi with Chandigarh Cabs.